Nurses who have specialized training are better prepared to cope with the complexities in healthcare. A master of science in nursing (MSN) delivers the specialty training registered nurses need to improve patient care and advance their careers. 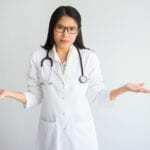 Nurses prepared at the MSN level can apply their knowledge to benefit patients, use their expertise to assume leadership roles, and clinical judgment to solve complex problems. Their advanced training will support autonomy in daily practice, empowering them to do more based on their critical thinking and knowledge of patient care. The decision to pursue the MSN degree will depend on your level of satisfaction with your current position and personal and professional goals. Nursing affords numerous opportunities for specialized care. Many nurses who discover a niche they are passionate about may go back to school to become experts in the specialty area. Nursing informatics, primary care, oncology, critical care, neonatal, health policy, and advocacy are just some areas where the MSN program delivers advanced training. If you feel the call to become a nurse educator, you’ll need the in-depth knowledge provided in the MSN degree program. Career advancement fills the mind of almost every nurse. In the competitive healthcare environment, holding a master’s degree will help you get ahead. The degree is essential for advanced practice, nurse management, teaching, research, advocacy, and health policy to name a few. For managerial positions in leading healthcare institutions, employers will give preference to candidates holding a graduate degree in nursing. State legislature may change in the future. There have been ongoing debates about increasing the educational requirements for nurses. Soon, even the MSN may not be sufficient for some advanced practice positions. Moreover, the Nurse Licensure Compact that authorizes multistate licensing will direct graduate-level training for nurses. Pursuing the MSN now will give you a head start for future changes in licensure and certification. As rewarding as patient care might be, more than 49 percent of nurses experience burnout or reduce their responsibilities due to workplace injuries. A master’s degree is preparation for a position that is not as physically demanding as general nursing. When burnout threatens, you’ll have other career options that will include influencing patient care in a new and dynamic way. The demand for nurse practitioners guides the decision of numerous nurses to specialize in this area. Idaho’s APPNs have full practice authority and can set up practices in rural and underserved areas to fill a gap in primary care. The Master of Science in Nursing program provides professional nurses with the opportunity to pursue graduate study while balancing their work and family responsibilities. The residency hours are delivered on campus with some course delivery online but will also include a clinical component. Nurses with a baccalaureate degree may complete the requirements in two years, and those with an associate degree in nursing may complete the program in three years. 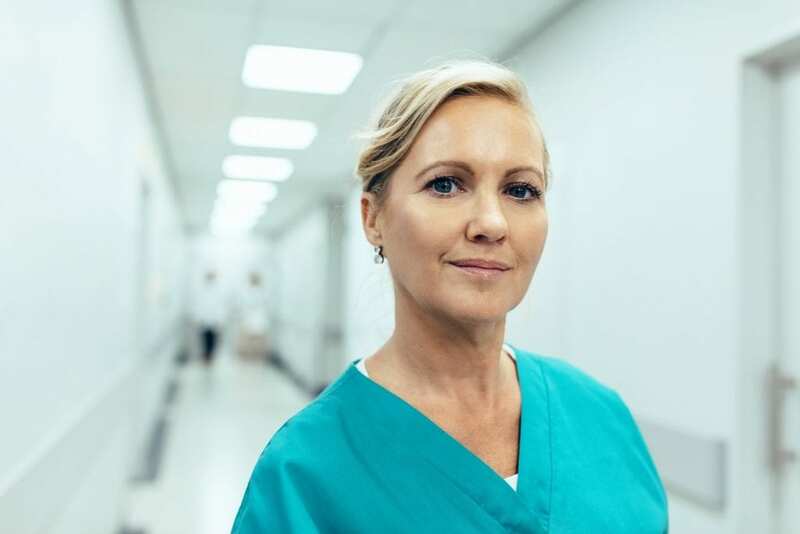 The emphasis on specialized training and leadership prepares nurses for a leading role in clinical facilities, educational institutions, and other healthcare settings. The program content will depend on your chosen concentration, but there are topics common to all programs. These include theoretical foundations for nursing practice, health assessment, advanced evidence application, human pathophysiology, health policy, advanced leadership, population health, and introduction to research and evidence-based practice. The internship experience, which takes place in various settings that align with the program, is critical to the development of specialized skills. The clinical experience may be conveniently conducted in your home state. With several programs in Idaho and many more across the United States, you can choose the one that meets your career goals and offers the quality and flexibility that is important to you. Through the integration of theory and practice, participation in research and scholarly inquiry, and the development of expert skills, students will be able to cater to their targeted populations using scientific principles to manage therapeutic interventions, lead initiatives, and diagnose and treat patients. The MSN requires completion of approximately 50 credits including up to 700 clinical hours. Specialty track and core courses may account for up to 41 credits. Here three pathways to the MSN. RN to MSN: If you hold an associate’s degree in nursing and have some experience as a professional nurse, the RN to MSN pathway is the one for you. This track will let you earn two degrees through a single program. The program is accelerated and intensive, but since you’ll save time and money, it is worth the effort. By obtaining the BSN and the MSN through the program, you’ll save a year of schooling and the tuition that corresponds to an additional year of undergraduate/graduate study depending on the school’s plan of study. Some schools will let you take master’s level classes at the undergraduate rate in this combined program. Direct Entry MSN: If you’re in search for a leadership role in nursing, you’ll need the expertise to confront the challenges of delivering care in the complex healthcare environment. Some of the complexities related to new technology, diverse cultures, the changing role of nurses, and broad organizational structures. If you already hold a BSN, you can use it to enroll in a direct entry MSN program and develop superior leadership, communication, clinical, and managerial skills to thrive in a specialty role. The multitude of options offered by educational providers will let you customize your learning to meet your career goals. Most programs are delivered online, which lets you choose the best option that fits your needs with no limits on your geographic location. The program will build on the foundation of your undergraduate studies to build the competencies that enable success on a national certification exam and the confidence to work with teams to transform systems and serve the community at large. Post-Master’s Certificate: As a masters-prepared nurse, you can enroll in a post-master’s certificate program for additional preparation to become a true leader and expert. Your intended concentration will determine your school of choice. Each program is customized to meet specific individual needs based on previous education, experience, and goals. Independent and self-motivated students will expand their knowledge in a targeted specialty and gain a wealth of experience from experts. If you do not want to commit to a doctoral program, the post-master’s certificate in one pathway to continued learning. Below are the general requirements for admission to a graduate nursing program. Investigate the admission requirements and prerequisites for the specific school that you’re interested in and schedule an appointment for advising to ensure your education aligns with your career goals. GRE scores may be required based on the GPA. Students enrolled in the Master’s of Science in Nursing program at Idaho State University must pay a professional fee of $1,080. The professional fee is in addition to ISU’s tuition and fees and is assessed for all undergraduate and graduate nursing students. Graduate residents will pay $4,464 per semester for full-time tuition and graduate fee. Tuition for part-time residents is $447 per credit. An online course fee will also be assessed for the graduate students enrolled in the online MSN nursing program. Nursing students may qualify for scholarship awards, especially those enrolled in programs designed to deliver care to adversely affected populations. Ask a financial aid officer for information about scholarship opportunities but don’t forget to investigate other sources of funding outside your chosen university. You must have a current license to practice as a registered nurse (RN). If you do not have an RN license, you must apply for professional and advanced practice professional licensure by submitting both applications and fees. The Nurse Practice Law in Idaho requires nurses to hold an active license at the time of employment. To facilitate individuals, the Board may issue an interim license – valid for 90 days – while the application is under process. Complete a Board-approved application in ink and have it notarized. Provide an explanation for any omissions on the form. Sign your name and have the form notarized. Enclose a 2 x 2 identification photo – not older than one year. Tape the photo to the application. Fill out the requested information related to your advanced practice education and certification. Enclose the licensure fee of $90. Make check, money order, or cashier’s check payable to the Idaho Board of Nursing. There is no cost for the temporary permit. Declare your primary state of residence as Idaho or a non-Compact state. Fill out the appropriate form in the application packet. Provide verification of your Idaho RN license to the enclosed Affidavit. Official transcript of your advanced practice professional nursing education must be sent from the nursing program directly to the Board of Nursing office. The administrator should post the final degree to the transcript. A copy of your current national certificate must be attached to the affidavit. A completed Fingerprint card administered by the Board of Nursing must be mailed to the Board with the completed NonCriminal Justice Applicant Privacy Statement. The background check processing fee is $30. All documents become the property of the Board of Nursing and may be destroyed if the application is not completed within one year of submission. Documents requiring notarization must be submitted by mail. A copy of a document indicating acceptance to take a national exam – if you have not yet taken the certification exam. Submit evidence of completing an APPN program with this document. If a final transcript is not available, you may submit an attestation of your completing the program from the director directly to the Board’s office OR a notarized copy of your diploma. A copy of your lapsed national certification if it has lapsed. The Board may issue a conditional temporary license for you to meet the specified practice requirements under supervision for re-entry into advanced practice nursing. Submit evidence of completing 30 hours of post-basic education in pharmacotherapeutics. A copy of your transcript, coursework, letter from the program administrator or a certificate of completion will serve as acceptable documentation. Contact the Idaho Board of Pharmacy to obtain controlled substance registration to prescribe and dispense legend drugs and Schedule II and V controlled substances. APPN licenses expire on August 31 of odd-numbered years. You can log into the nurse portal for convenient renewal of your license online. A criminal background check will be conducted at the end of each licensure period. CNMs, NPs, and CNS’ must undergo a peer review as part of the renewal process. Apart from meeting the continuing education requirements, you must complete 200 hours of advanced practice nursing in the two years preceding the renewal. As an APPN, you must provide evidence of completing the continuing education requirements at the time of renewal of the APPN license. Practicing APPNs in the four categories must provide documentation of thirty contact hours of continuing education for each renewal period. Participate in related professional activities related to research, teaching, published material, peer review, professional auditing, and precepting. You must provide documentation of completion of the continuing education activity. At the time of renewal, you will have to attest to completing the CE in accordance with the Board’s criteria. Present your documentation if contacted by the board for an audit.